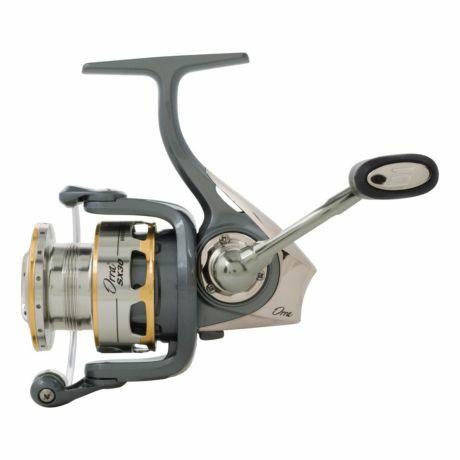 The Orra® SX series of spinning reels is packed with proven on-the- water technology that gives anglers an edge. The construction begins with an aluminum reinforced C6 carbon body design that seamlessly combines the X-Cräftic™ gearbox with a C6 carbon body. The result is a lightweight body that houses gears in perfect alignment. 8 stainless steel HPCR™ bearings + 1 roller bearing provide increased corrosion protection while maintaining smooth and consistent operation. The new Rocket line management™ system provides better casting control of all types of fishing lines. Working in tandem with the Rocket spool lip design™, this system actively controls the line coming off the spool during a cast for improved control and accuracy. A stainless steel main shaft and components improve corrosion resistance while the Everlast™ bail system delivers improved durability. The Carbon Matrix™ hybrid drag system delivers super smooth drag performance throughout the drag range.